I’m glad your resizing efforts are working out. My bottom edge blocked out nicely and I have no issues with it. Keep up the good wor! I mentioned b4 that I had to resize my poncho pattern. It is the right size now. The bottom edge could have been knitted on a smaller size needle. I think it will be fine after blocking. Love it. Started other side. I believe that the design will emerge as you move along. It will be a bit more subtle than a lighter color but just as beautiful. 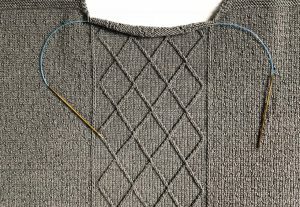 I’m knitting with Suenon Charcoal, and do not see the Dot pattern coming through. Do I need to patient with the design? I’m wondering if the weight of the project will reveal the pattern. Thoughts?! Yes I did. I used 100” and I am recommending longer to accommodate gauge differences. I missed Part 1, any chance I can get it? I love that you already have your knitting packed for Florida! I won’t be in Florida until January but have been printing the instructions each week. This will be one of my projects for our winter holiday. 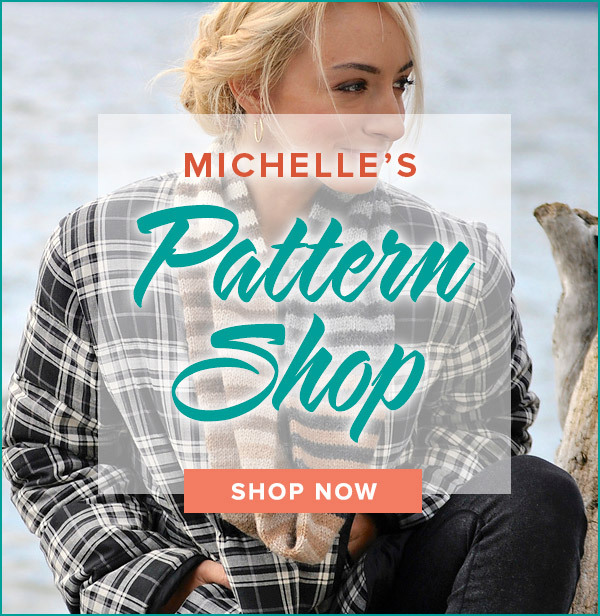 Glad you are enjoying the pattern! 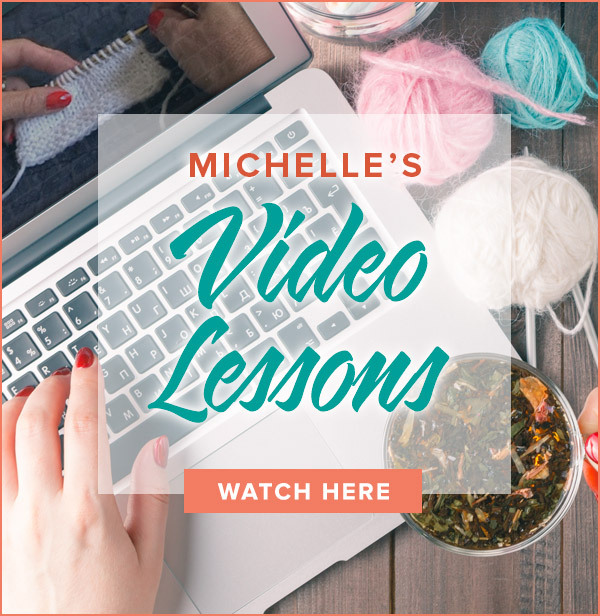 I don’t have a specific video for unknitting a twist. A twist is in the cable family so watch my Fixing a Miscrossed Cable video and this should help.